The 2018 Berman Lecture is available here. 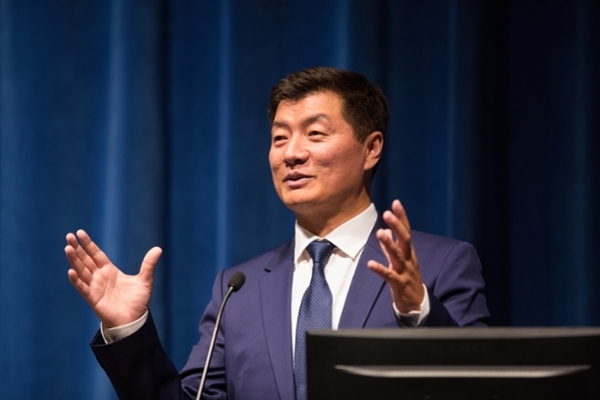 Sikyong Dr. Lobsang Sangay, president of the Centril Tibetan Administration, also known as a the Tibetan Government-in-Exile, discussed "The Tibetan People's Transition to Secular Democracy." The Harold J. Berman Distinguished Lecture was established in 2009 with a generous gift from the Berman family, as well as friends and supporters, to honor the intellectual legacy of Harold J. Berman (1918-2007).